There’s an update to the Tablo PREVIEW app for Amazon Fire TV & Android TV devices on the way. If you’re currently using the ORIGINAL Tablo app on Amazon Fire TV or Android TV, please do give this version a try! If you have any questions or concerns, don’t hesitate to drop us a line or comment below. 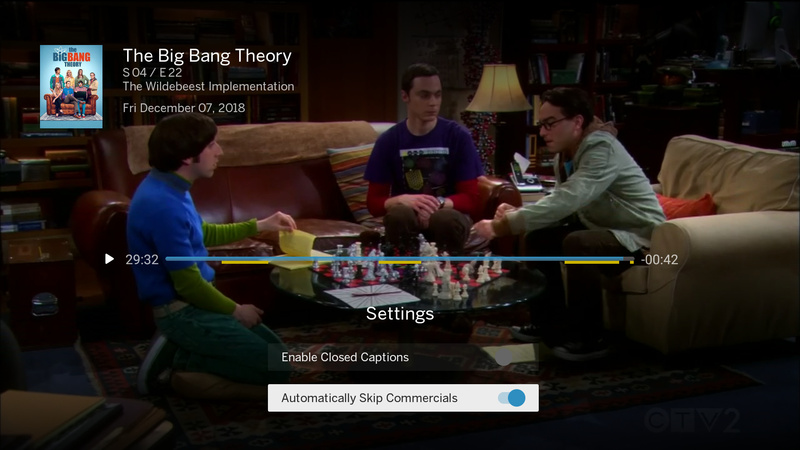 Tablo, will this correct the problem of Remote Streaming Quality, stuck at full quality ? Tablo PREVIEW doesn’t have Tablo Connect. We WILL be releasing an update for the original Fire TV app soon though to resolve this. Sorry I have mixed the 2 apps. Is the Tablo Preview app is available for Amazon Fire TV stick, I search for it but can’t find it ??? Yes it is. Both the OG app and Preview app are available for the Fire TV Stick. How does it lablle… I tried Tablo Preview but didn,t get the tablo Icon., I tried Tablo but didn’t found appropriated Icon, It is strange since I have already upload the Tablo app which is working fine. Did a search, but couldn’t find it anymore. Strange since I have both app’s installed. Try searching for Nuvyyo maybe? Yeah, you can thank Amazon for that one. We’re working on getting that resolved. FYI - this does work. So does searching PREVIEW. Don’t have the firmware update yet, but the preview app looks slick and works smoothly. Just noticed, you get more individual program info on the Live TV grid with the Fire apps than you do with the Roku app. Are there any plans to update the Roku app in this regard? God, I hope not. Both Fire TV apps already have a number of feature characteristics that have led me to abandoned those apps. But, on the positive side, implementing that feature on Roku would give me an excuse to buy another hdhomerun to use for live TV. What’s wrong with a drop more info on the content of the live show you’re about to watch? Let’s assume you have 20 channels in the grid. When the grid comes up I position on the first channel number. I can see 1 1/2 hours of programming (9-10:30) for 9 channels. As I visually scan to see what is playing for those 9 channels over the next 1 1/2 hours, up pops some information I could care less about and now I only have a view of 6 channels. I use the down arrow to move down the channels list and stop to see what is on. Oops it happens again.